First of all, The Customer Service is one of the true “Back-Bones” of a Great USA Company!!! Thank you Kim for your patience and expertise and true and honest Customer Service! 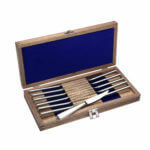 I first purchased as 45 piece set of the Richmond pattern. Very nice; well balanced; great quality! But I wished I had listened to Kim’s advice and purchased sample pieces first. Because, I personally like a hollowed handled knife. So I then purchased a few sample pieces and I am glad I did because I prefer the American traditional sizing. I settled on the 45 piece Candra pattern. It is simple and elegant. The satin finish is perfect and the knife is gorgeous! Well balanced and perfect fit and not too big or too heavy. I also purchased the steak knives and ice tea spoons in the Candra pattern. Each piece is in a separate plastic slip cover and comes in a very nice box and then wrapped and shipped in perfect condition. I washed each piece separately and dried to a mirror finish. I know they are dish washer safe…But I would not dream of using a dish washer on my quality treasures!!! Thank You Liberty Tabletop and All The Quality People Who Do Quality Work!!! So excited to be enjoying this gorgeous set!! All made by American crafts people!! Simple, classic, lovely. 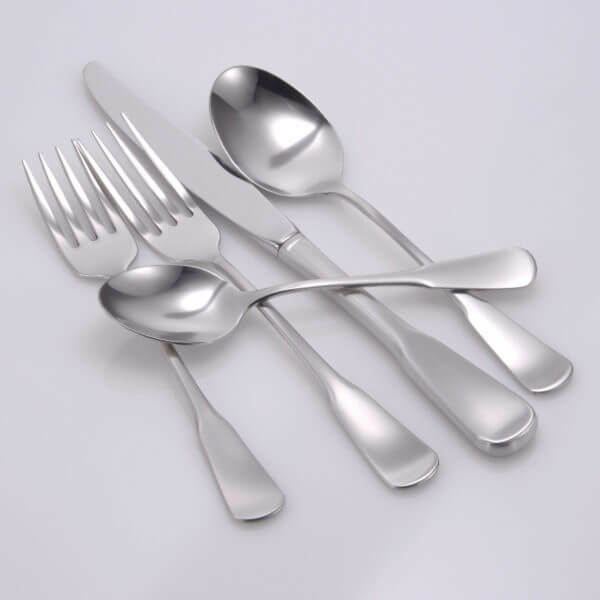 Beautiful, high-quality flatware, made in USA, at an affordable price – can’t ask for more! 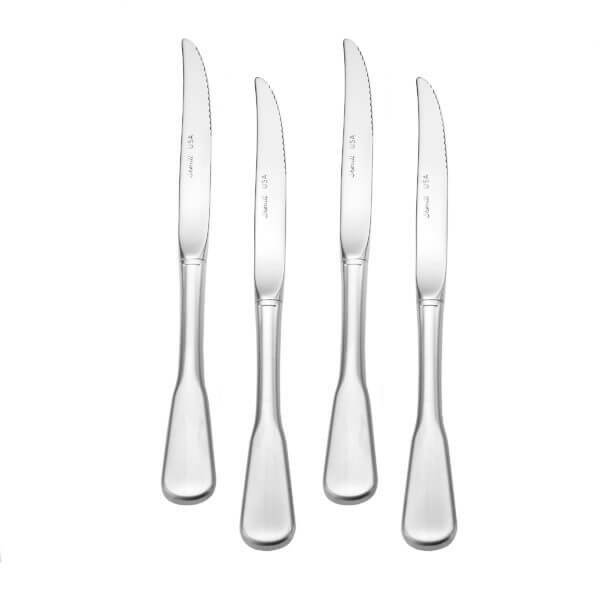 We’re extremely happy with this flatware set. 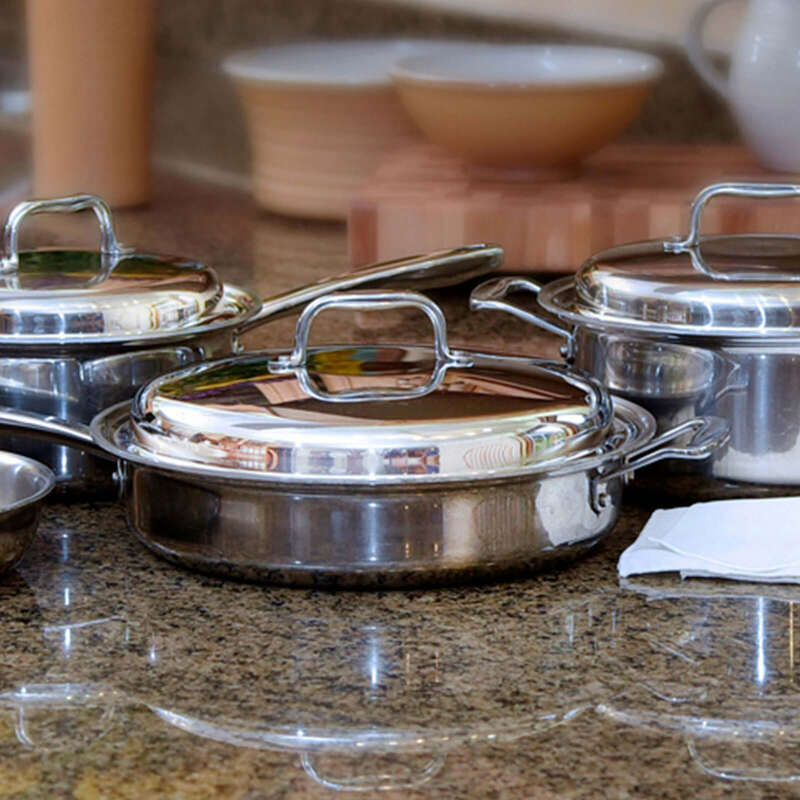 We’ve been looking for colonial style kitchen items and these fit the bill. The quality is fantastic and being American-made is a big plus. They’re very durable with a nice weight to them. 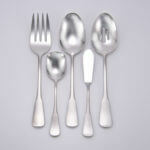 We’ll definitely be adding a few additional sets to replace all of our current flatware. I chose Liberty Flatwear because it was made in U.S.. This is a gift for my granddaughter for her bridal shower which will be in 2019, I also wish there was a pie server in this pattern. I’ve been using this set for a couple of months and so far, I’m very happy with it. This simple, classic style is just what I was looking for. It’s sturdy. 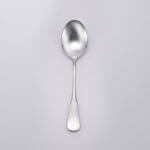 (I can scoop hard ice cream without bending the teaspoons.) 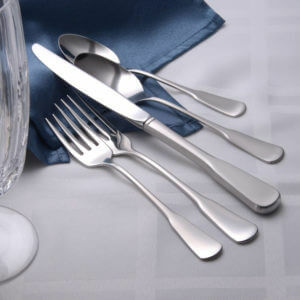 I like the size of the forks and teaspoons, they are not oversized as much flatware is now. (However, the forks and knives don’t fit in most of the slots of my dishwasher’s silverware basket.) I wish there was a pie server and wide casserole serving spoon available in this pattern. I am thrilled with my silverware. I love the pattern and the weight is so nice. I ordered a similar set from a company I thought was US, but it was made in Vietnam. 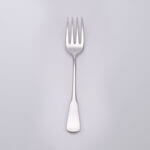 It was like thin picnic plastic- not real silverware in my opinion. I returned it! Found you guys by mistake, an am so happy. Your brochure says you’re powered by water from niagra Falls, and your buffing process is not chemical & is non toxic. You keep our planet clean, employ local people, are conscientious. That’s what we should promote in our beautiful country! 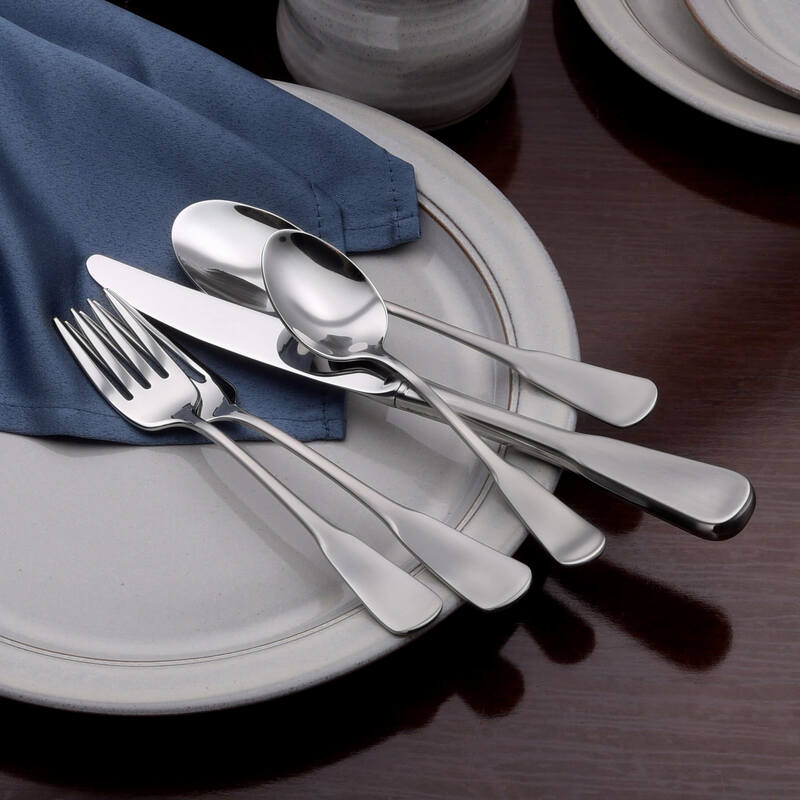 The Liberty Tabletop Flatware set is a quality product. 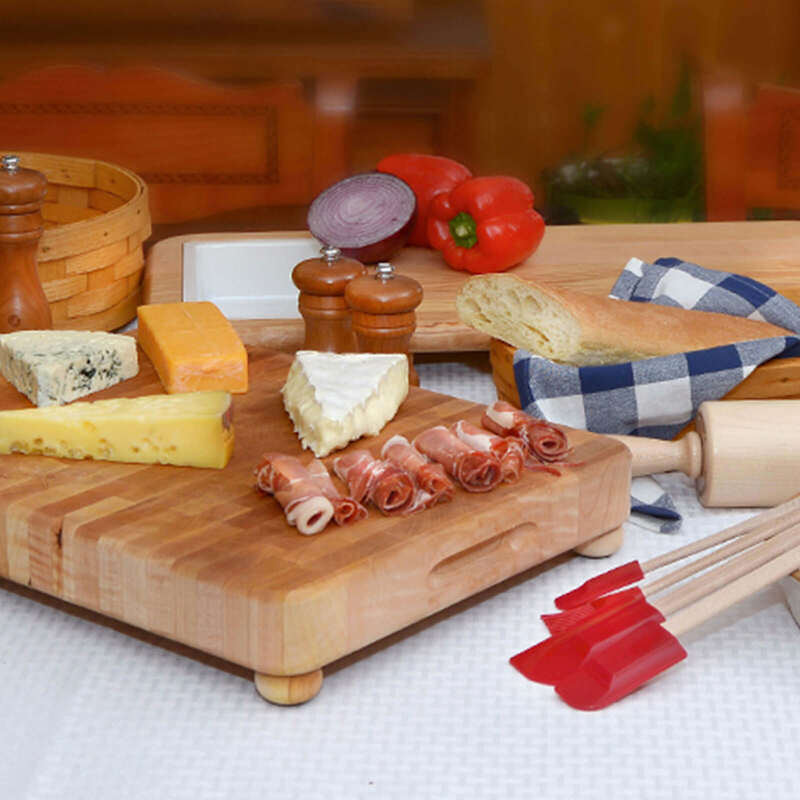 Our family is enjoying their use and we are very proud to own an outstanding product that is manufactured in New York State. Lovely. The sizes are perfect. The look elegant. The weight perfect. I ordered this set on a friday morning and it was delivered to my home on saturday. 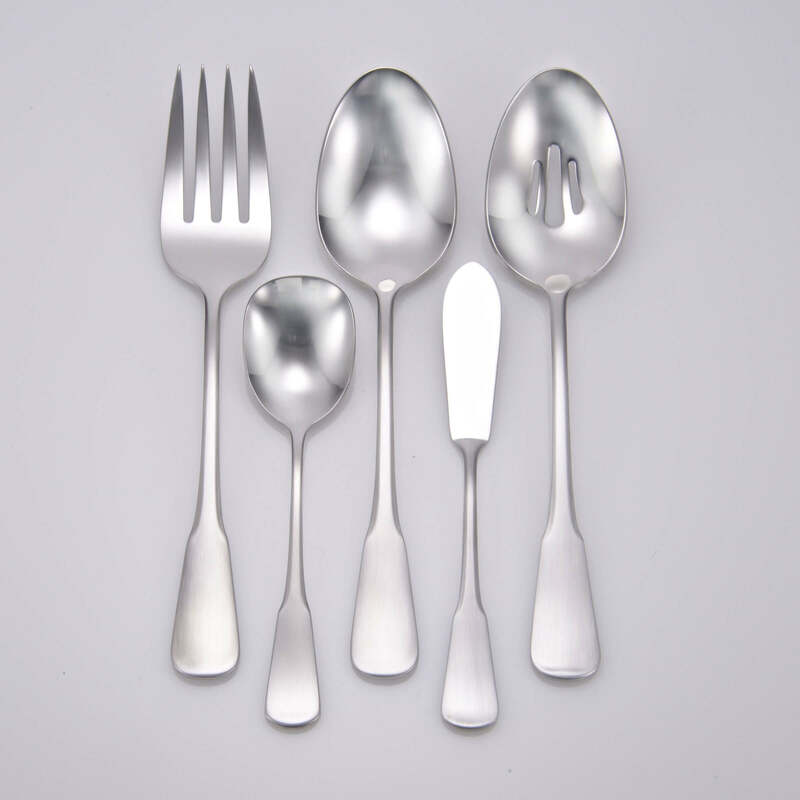 I was drawn to this company because I wanted flatware made in the USA. I’m so glad I found them. I looked at the samples at Smith Restaurant Supply in syracuse, NY, quite a few times before I made my decision. I’m happy with this pattern. It’s the perfect size and it’s simple and smooth. 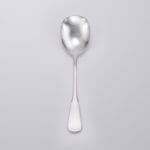 do yourself a favor and buy the iced tea spoons!!! They’re so versatile: ice cream, yogurt, iced coffee. We’ve had this flatware for a year now and really like it. The proportions and feel in the hand are good. This set is very similar in design to my previous very old set, which can serve as backup if I need extras. I like it, especially the satin finish on the handles. However, the spoons and forks are small! We will probably get used to them-I hope. The delivery was fast, the items were packed well. Overall, I am happy with the purchase and will recommend Liberty. Glad they are made in the US and not China or Viet Nam. I really liked the product and loved that they are made in the USA. Customer service is good. The forks are maybe a touch shorter than people are used to,but I am happy with the set. it is a plus and a relief to find spoons which closely match those lost from my original German-made set which are no longer available. Liberty is a great, quality resource! 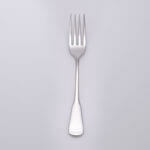 I purchased a quantity of the salad forks for use in our office. I must say, they are beautiful. 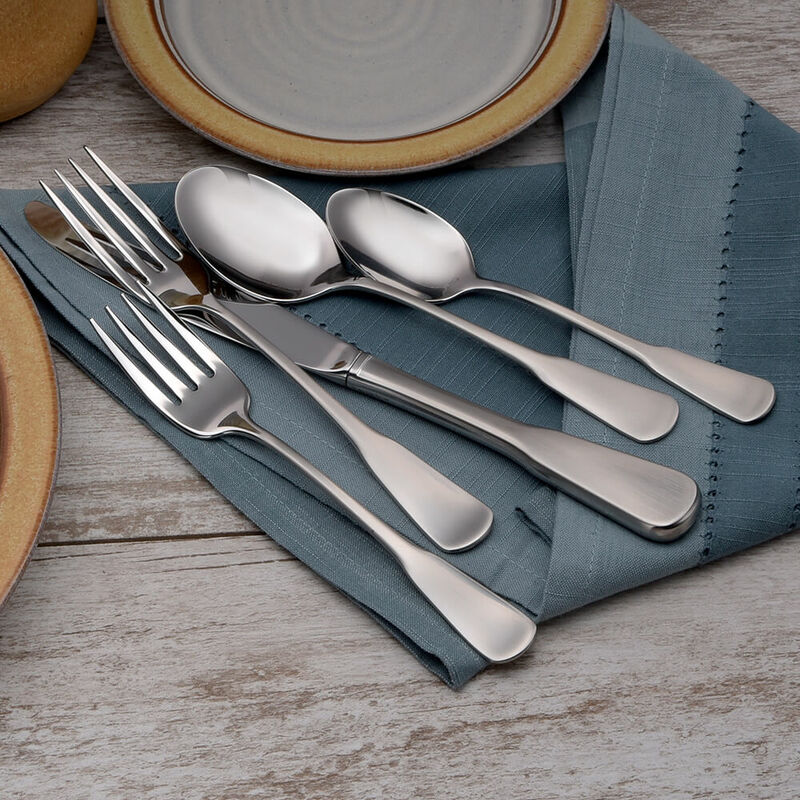 Liberty Tabletop is now my go-to supplier anytime I need flatware for the office or my home. “A perfect ten” on quality and delivery. The stainless was very well made and of high quality. 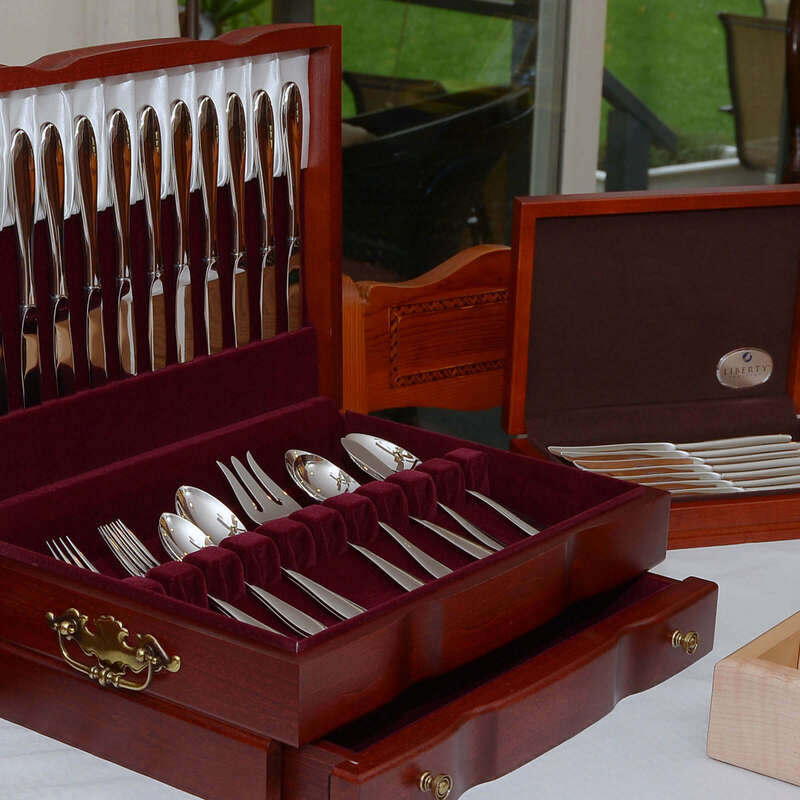 We recommend the workmanship and craftsmanship. That is the positive. 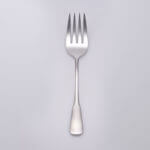 The NEGATIVE is we probably would not buy it again because it is physically small – the “large” fork is slightly smaller than the salad fork in the stainless this was bought to augment. The same is true of all pieces. We could have bought one of each of the pieces prior to purchase but that is a $40+ investment for something that we would eventually not purchase. This was the pattern we liked so that is wasted money and effort. 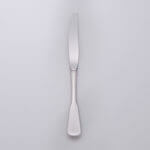 VERY well-made flatware that fits in the hand and is balanced just right. Add to this that it is made in the USA, AND Customer Service is superb and you have an “all-time good deal”! This product is highly recommended. 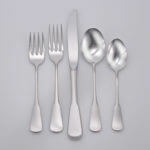 Beautiful flatware! (Simple-yet-sophisticated lines.) Recently got the 65 PC set (plus extras) and we love the style, weight, size of the pieces and the overall high-quality. Well worth the price. Also: excellent phone service, packaging, and fast shipping. Thank you, “Liberty”! 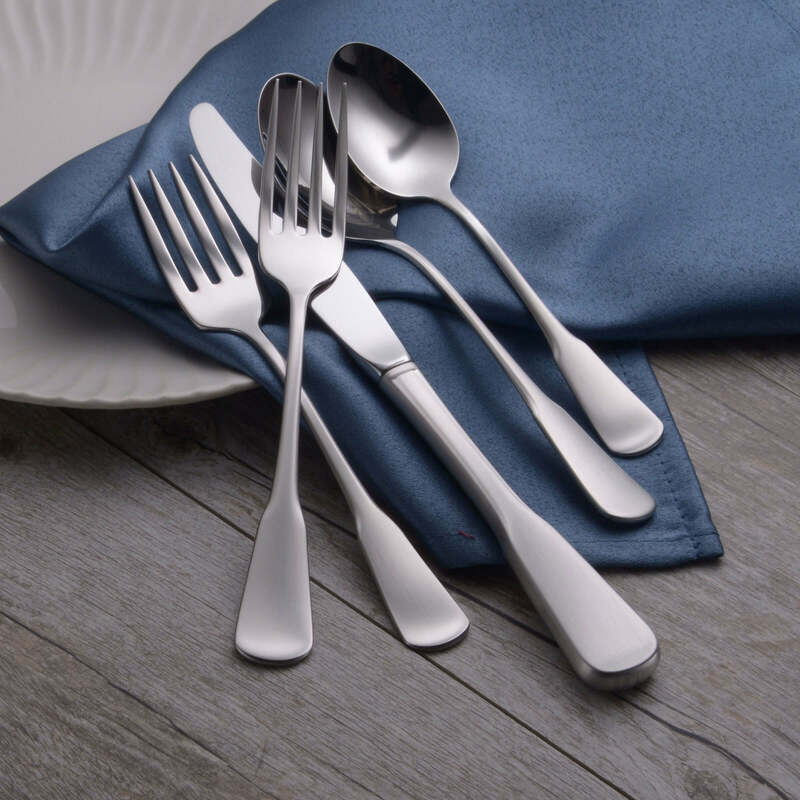 I’m in love with my Candra flatware! It is beautiful and nicely balanced. Each piece is perfectly sized – not oversized like some others. I think that the brushed handle with polished top looks great! It was nice to be able to order samples to see the patterns. In the end I debated between Candra and Richmond, and while they are both nice, it was definitely worth it to spend a little extra on the Candra. 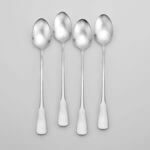 I ordered the 45 piece set, and will likely order more teaspoons since we seem to use those the most quickly. Would love to see them sold in 4-packs! 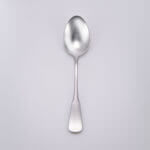 I will also be ordering the baby spoon sets as gifts – what a lovely option. I am happy to support this company’s mission and am very pleased with my purchase. Thank you, LibertyTabletop! This set replaced a set we had for 30 + years. I was looking for something that would last and was made in the USA. I hit the jackpot. We were able to order samples of different patterns which was great. This set is well made, looks beautiful and is great for everyday use. I purchased the 65 piece set and a few extras. I like being able to purchase extra pieces, which you can not do with sets you buy in department stores. When I purchase sets for my children I will definitely buy from Liberty Tabletop. 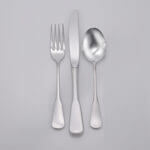 Just received my Candra flatware and am very pleased with the quality and feel of the pieces. Thank for offering a top quality USA made product. We love the pattern, weight and finish of this set. Worth the money. Big improvement over what we were using and the 12 place setting is great bfor our family of four and when we entertain guests. 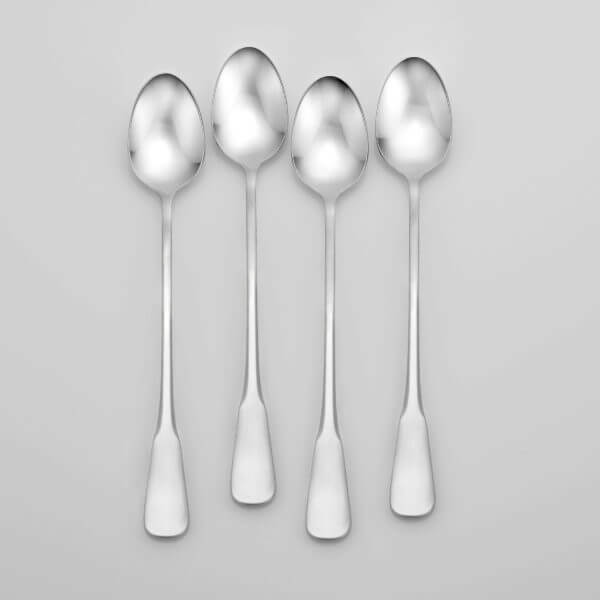 Our family was happy to support American US made stainless steel flatware. It was extremely easy dealing with Liberty, the service was great. 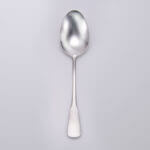 I was expecting a bit more heft in the silverware but am still very happy with my purchase. Thank you, Liberty! This collection is awesome. 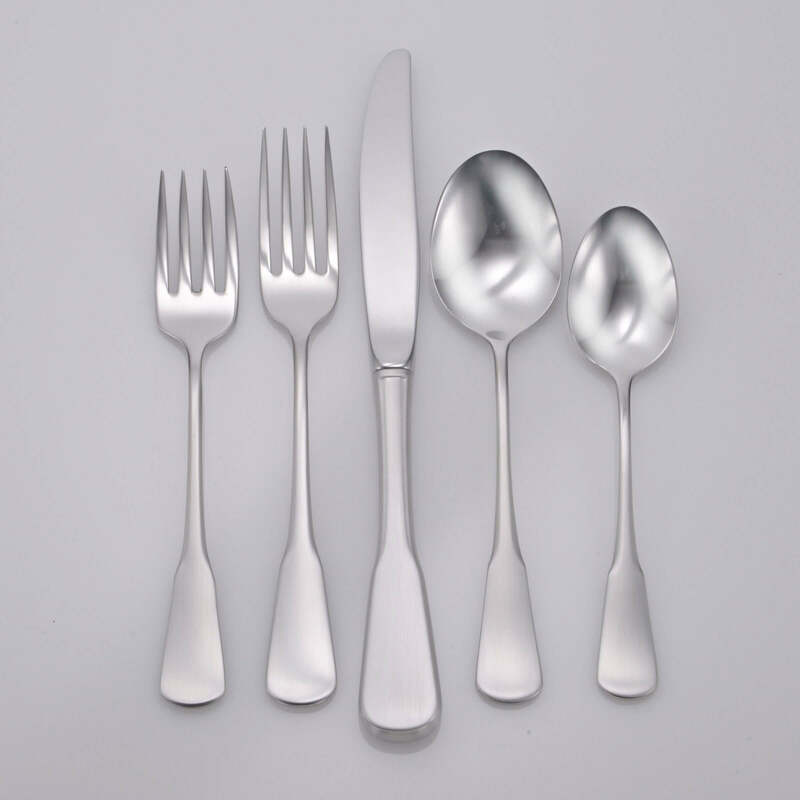 I’m not entirely sure what language is typically used to describe flatware, but this set is smooth and light. I’m really happy with the purchase. 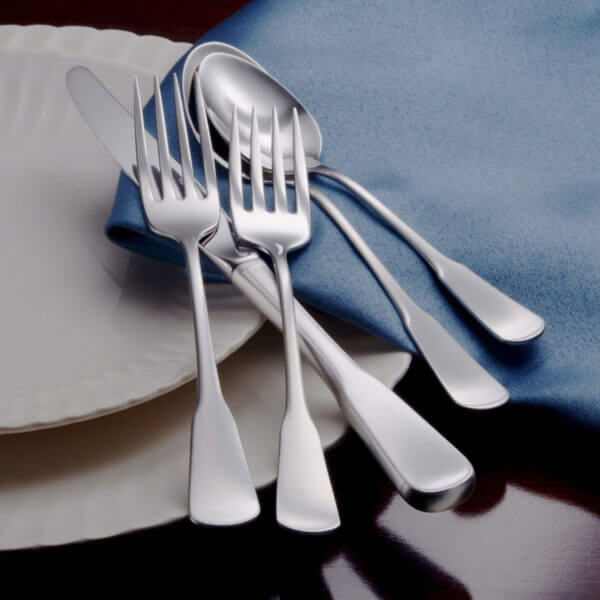 Quality flatware ….. made in the US….. hard to find but I’m so glad that I found it!!! This is beautiful flatware, with a brushed finish that feels like satin — smooth and nice. Amazing that you can get an American-made service for 12 — with hollow-handled knives — for such a great deal. 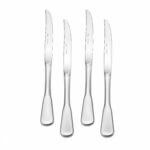 My only un-granted wish was to have a notch between the middle tines on the dessert forks or some other way of more easily distinguishing the dinner and dessert forks. 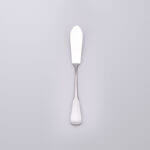 But I love this flatware, with its modern take on the Colonial style and its great feel, and will forgive this one issue. I highly recommend this set, and my guests have been commenting on it without me saying a word to prompt them. Our flatware was approaching its’ 15th year of use. The pattern on the plastic handles had worn off, and they were bulky in our new dishwasher. I had seen a tv program highlighting items still made in the USA, and you were one of the segments. Woohoo! I was pleased at the designs available, and the prices were very fair. So, we got the Candra set. The feel is wonderful, the look sophisticated, and the finish well done. We are pleased to have you serving us. I had been looking for a nice set of every day flatware for a while and when I looked at the selections that Liberty has I was really impressed. We chose the Candra pattern because it’s simple and can be used everyday but, would also look nice in a more elegant environment. We also like the fact that it is not too heavy and yet fits so well in the hand. My husband who is a fairly large person really loves the set. That’s the first time I’ve ever heard him review a flatware set ! Also, recently I did some damage to one of my place spoons by trying to use it as an ice-cream scoop and your company replaced it immediately. Doing business with Liberty is a real pleasure. I am so pleased with my purchase! 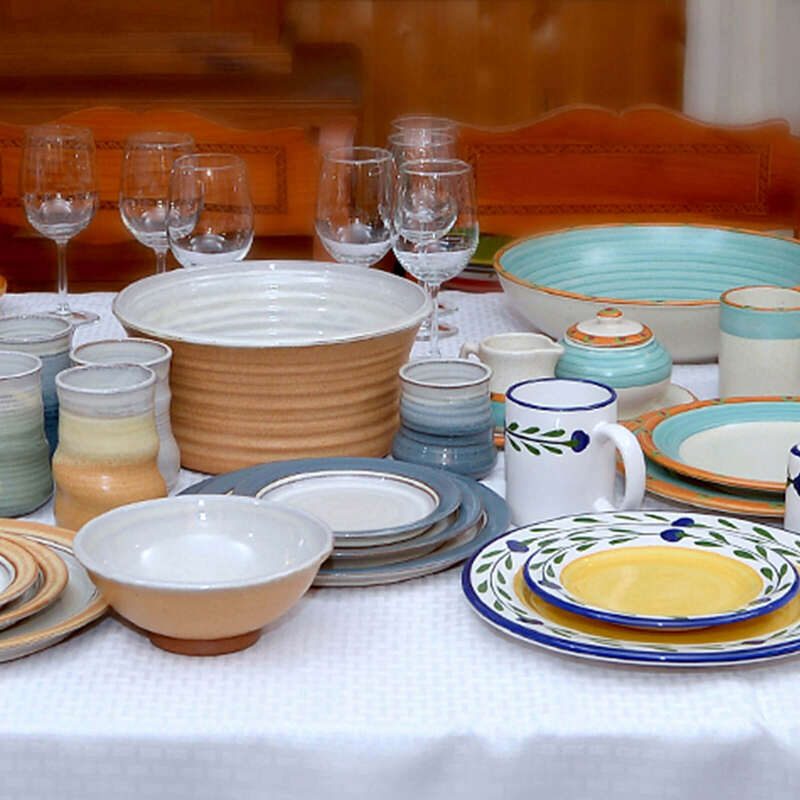 The Candra 65 pc set is perfect. 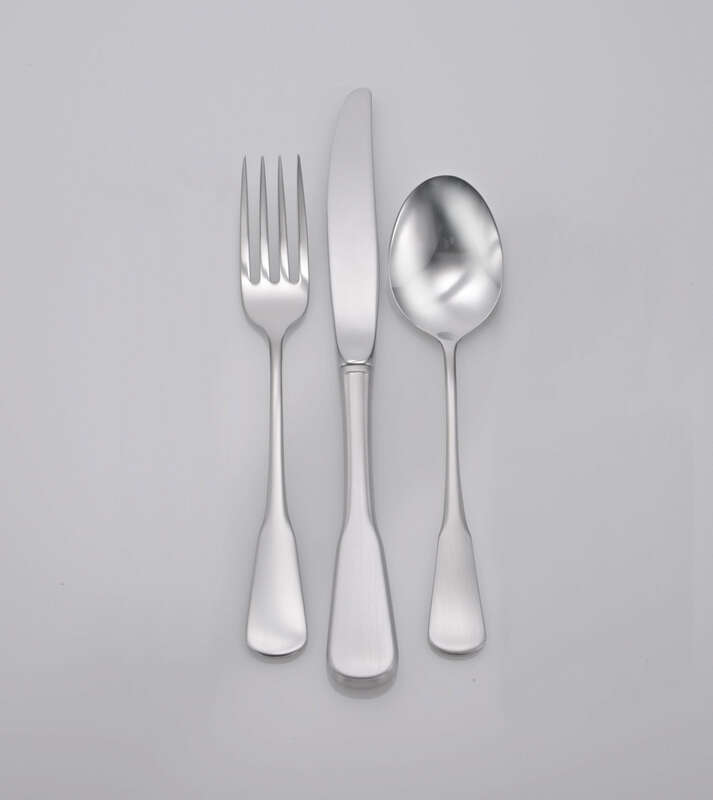 Love the pattern, weight, size and finish of this stainless flatware. 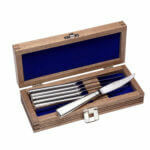 I have used my existing Oneida Community Patrick Henry set since 1979. I saved Betty Crocker coupons & bought most of it in 1975 for my hope chest. The Candra is far superior to the Patrick Henry. 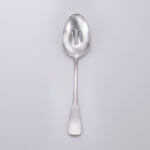 I will be purchasing more spoons & forks in the future. I will tell others about your great product. Thank you so much for making it in the USA! !